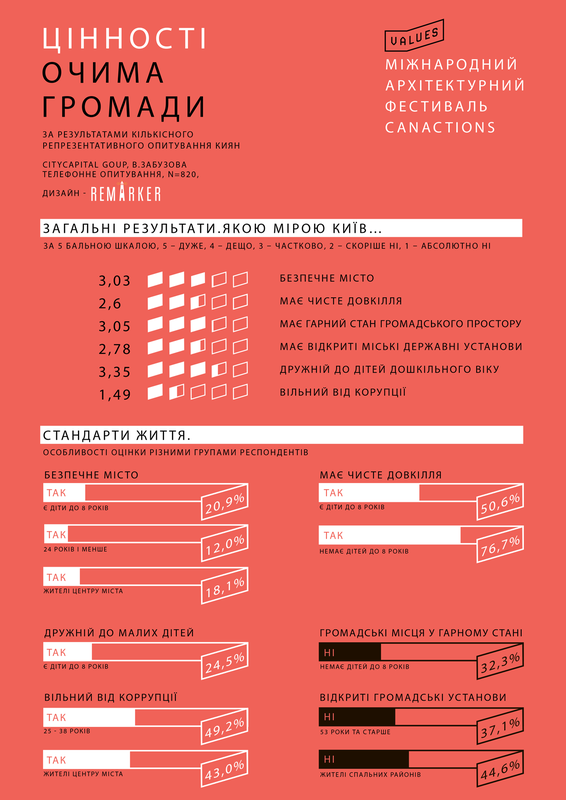 Assignment: Conduct final analytics of a large-scale versatile study of the Kyiv community and present results in the form of infographics for the CANactions International Architectural Festival. A grand event was planned to mark 10th anniversary of the Festival. Each part of the Festival intended fairly grand too. 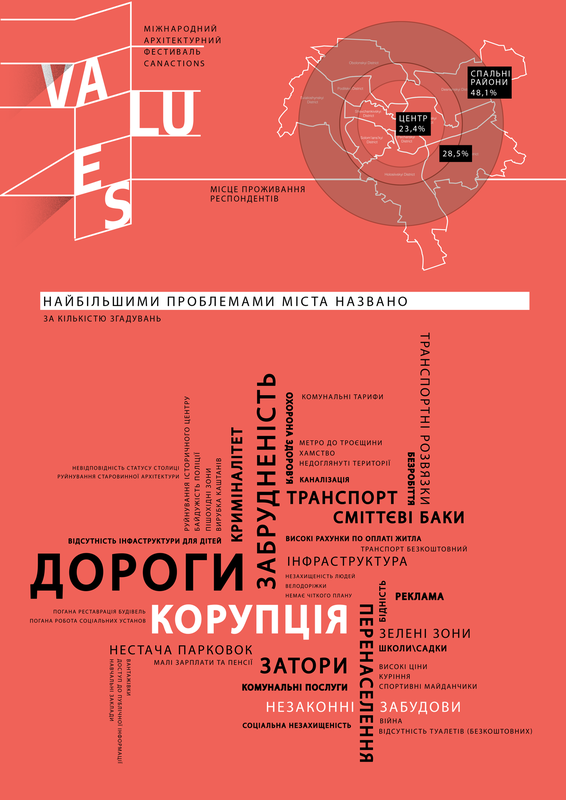 We received a detailed representative survey of the values ​​of the residents of the capital. But could not display each criteria widely, as had to take into account the limits of the space that the project would take in reality. So, we got deeper into the data itself and found most polar indicators and general tendencies. Results were interpreted in such a way that the target audience receives a run-through message which reveals critical points that should be corrected. It was most important to show the interconnection of all processes in order to begin public communication about the standards of life of the community. 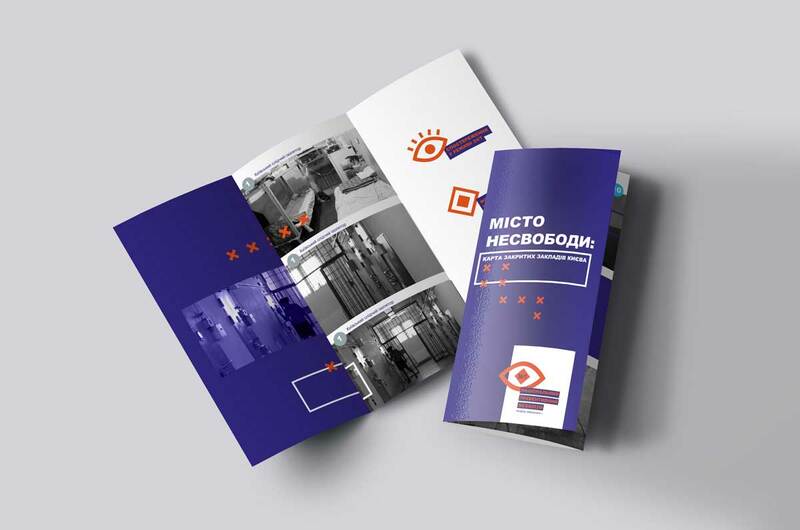 Infographics was presented not only on web, but also in Mystetskyi Arsenal, so we have chosen to construct it in the style and colours of the CANactions identity.